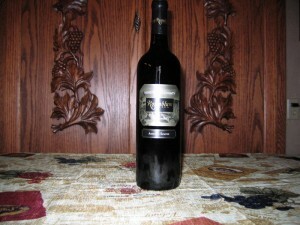 Cutting: A wine with strong cherry, licorice, plum and coffee characteristics that gets mixed reviews from Zinfanatics. Rosenblum’s Annette’s Reserve Zinfandel from Mendocino County features strong cherry, licorice, plum and coffee aromas and flavors. Some tactics observed cocoa, spice and black cherry notes. The strong aromas and flavors will appeal to some Zinfanatics, but others may not enjoy. Tasters’ rankings ranged from second to last.